Vladimir Putin has examined papers on issues that concern the Russian intelligentsia, passed to him over a charity dinner, his press secretary has said. The Premier is also aware of the dissolution of a protest rally. “Of course, the Prime Minister knows about the action. Particularly, he is aware of where exactly the protesters were given permission to stage [the rally] and where it was actually held,” Dmitry Peskov told on-line newspaper gazeta.ru. 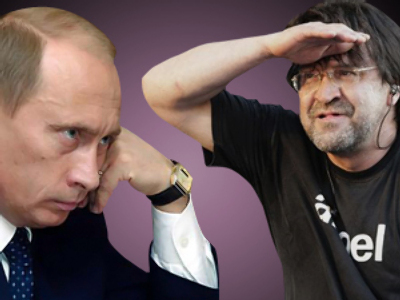 The head of the government is also aware of the incident with the paper’s journalist who was injured as the law enforcement agencies were breaking up the “Dissenters March” in the center of the Russian capital on May 31. “I am not going to comment on anything else,” Peskov said. On Monday, the opposition and human rights activists – for the ninth time in a row – attempted to hold an unauthorized meeting in support of Article 31 of Russia’s constitution, which provides for freedom of assembly. The protesters were dispersed by police, who, according to witnesses including Russia’s human rights ombudsman, Vladimir Lukin, acted extremely brutally. Officials maintain that various venues were offered to the organizers of the march. However, they still attempted to hold it on Triumfalnaya Square, where the gathering was banned. Rights activists argue that city authorities and police violated the law by not permitting a peaceful gathering and then by violently breaking it up. "Russian laws say that such rallies do not require a permit, but only need to be announced,” Lukin said in an interview with Russian “MK” daily. Authorities, he went on, must register the application and provide normal and secure conditions for the meeting. Earlier, City Police Authority spokeswoman Zhanna Ozhimina told Interfax that the protesters “tried to wreck the blood donation rally on Triumfalnaya Square." The donation rally was organized by pro-Kremlin youth movements. But as Lukin states, citing the law, “if more than one meeting has been scheduled at the same place, the authorities must make sure that the interests of neither of the applicants are violated.” And Triumfalnaya Square, he added, is large enough. The ombudsman said he expects the police to provide explanations and apologies to citizens. The ombudsman also vowed to provide a report on what he witnessed on Monday and present it to the society and competent bodies. 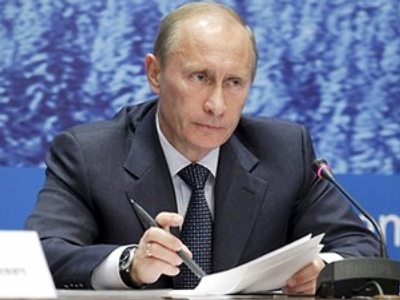 Putin has studied the papers carefully, his spokesman told Life News website. “Those files contain commonly-known information,” he said. “These were not even questions but a statement of facts, which requires no reaction. 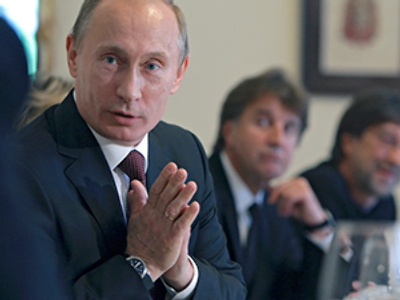 Therefore, Putin will give no instructions on the issue,” Peskov is quoted as saying. Shevchuk expressed his surprise at such an approach. The musician told GZT.ru news website that the file contained “real questions”. The rock star said that prior to the meeting with the premier he – with the help of journalists from different outlets – prepared the file with those documents. 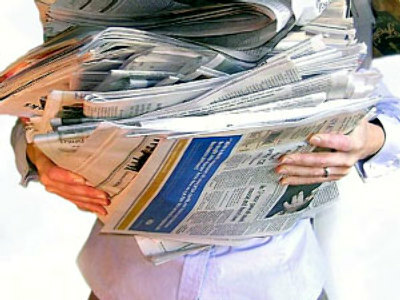 The papers described a whole range of problems that worry the community: from the unacceptable behavior of officials and dissipation of federal budget “to buy golden water closets” to the cleanliness of the Lake Baikal. For instance, the musician said, he and “the guys” wanted the government to address such issues as mortgages. “In fact, a person with a medium-sized salary can afford to buy half a square meter a year,” Shevchuk told GZT.ru. One of the issues raised concerned a center that helps people to get rid of problems with alcoholism for free. The clinic faces constant problems because of local bureaucrats. “I believe that it is the job of our government [to deal with such issues]", Shevchuk said. The charity dinner took place in Russia’s northern capital on Saturday, May 29.